This Sunday is USA Mother’s Day so we will be celebrating no doubt with the kiddos. It always feels weird when I am trying to celebrate a holiday that isn’t here. My brother is flying over from the states and lands in the UK tomorrow morning. I can’t wait. The kids and I are going to make him a big banner to hold up when he comes through the gates. It’s the first time anyone other than my mother has flown over to see me and where I live. I have so much planned for us for the next ten days so I might be a little MIA on social media and the blog, apologies ahead of time. After a lot of bad luck in the adult books lately I have resorted to just reading more to the kids for now. 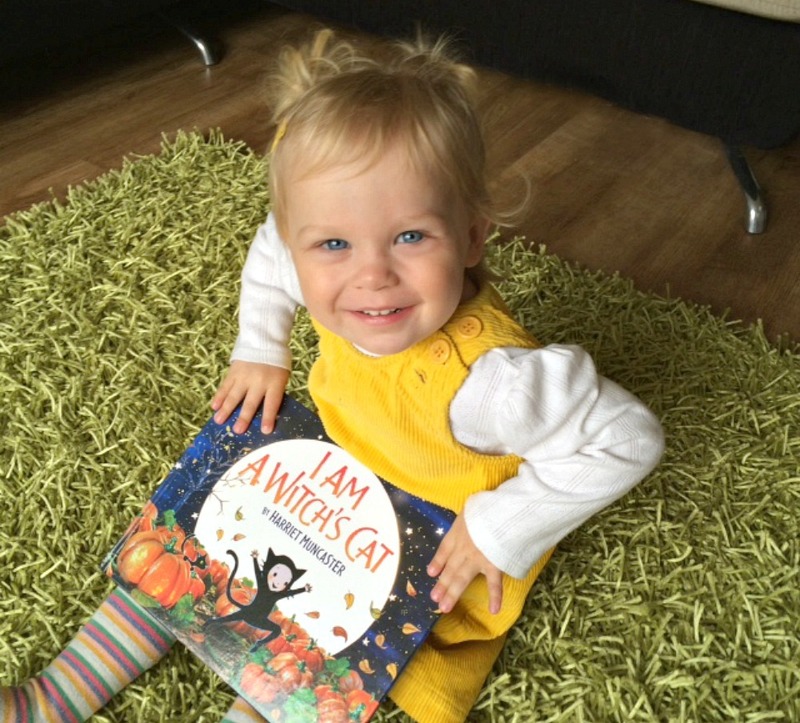 We love getting new stories for them because they are huge bookworms. I am constantly recommending toddler books to friends and family and passing ours onto them after we have finished. I was very excited to be sent this lovely one from the same author as Glitterbelle book that we love so much. We absolutely adore her creative illustrations and the way she creates her stories. Harriet Muncaster uses miniature scenes created out of paper and fabric and photographs them for her stories. I love that, it’s different and the kids are always pointing out various things in the scenes on each page. It almost makes you see the detail more than a regular storybook. This may look like a halloween book but it really is just a lovely story to read all year round. The kids love the little cat and even Mr P said, “oh that’s a good story”! This is Harriet’s second book that will be out later this year so have a sneak peak below and keep an eye out for it. Have you heard of VoucherBin? No, I hadn’t either but I am actually so impressed by it. I am always sharing voucher codes and where to shop for bargains and how to get nice things cheaper on LTM but this one really is amazing. I say that honestly because this one suits me far better as I am a huge online shopper for EVERYTHING. You can choose any department: home decor, food, fashion, phone services, regular services, jewellery, pets whatever you are shopping for and select that category and a list of top brands will pop up with discount vouchers for each one. You can select the department, your budget and what you are looking for specifically. As I am about to redecorate B’s room and the spare room this is a huge plus for me. I wish I had known about it sooner. You can even put in the brand you are looking for specifically too. So let’s say you want it for hotel.com you can just put that in the box instead of a category and it searches directly. Takes two seconds and you can really save some money. Don’t believe me, type in The White Company one of my favorite stores and see all the discounts that pop up. I just used it last night and the voucher was accepted with no problem. I always think look around you are bound to get what you want cheaper with a good old discount code or coupon! I think I was a coupon cutter in a past life. I have finally caught up on MIC, yes my only one UK tv show that’s allowed on. lol It’s my secret guilty pleasure I have to say. Not sure why but I was so excited that Lucy is back. I didn’t like her at first but have come to really like her and I think her going traveling for awhile and being absent was intriguing. Maybe there was more to her and Spencer flirty night than we think last season. Who knows but I am glad she is back! Anyone else love the tween bopper reality show? I have been wearing my hair straight again. I wore it straight for 28 odd years and only recently have been wearing it curly probably since I started blogging. Maybe it’s my blogging personality that has me curly most days but I use to hate my straight hair as it’s really frizzy unless I don’t wash it a few days. These days that suits my lifestyle as a parent and working from home so it’s been straight a lot lately. What do you think is better: curly or straight? 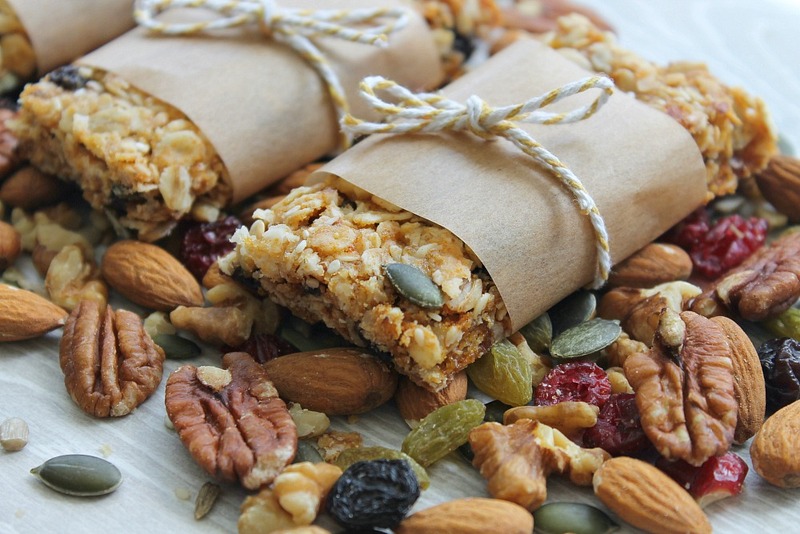 Adding to my healthy main dishes I have been sharing lately, I made these scrumptious Healthy Oat Bars this week. To say they went down beautifully is an understatement. Both the kids, Mr P and I scuffed numerous ones daily until there was no more. (Sorry Morgana I know you are here Saturday, I did try to save you some). I had to quickly wrap a few for the neighbors and my mother in law or no one was going to be able to test them out for me. No sugar, no butter and so tasty. You must try them out and let me know what you think. To me, they taste just like a flapjack. Last weekend was packed full of a bank holiday fun. I went to BlogOn where I got to hang out with so many amazing bloggers and be inspired. I met some amazing new bloggers too that I immediately connected with and fell in love with their blogs too. That’s what I love about the conferences as they aren’t just about the actual classes. Thank you Hayley, Rachel, Jo, and Kerri-Ann for being my buddies and lovely to meet InsideOut&About. I missed my partner in crime, Morgana as this was the first conference we ever went to together. 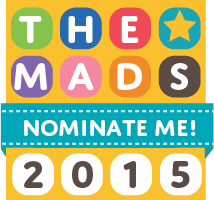 Yes, I know I have been asking for votes for awhile it seems but the MAD Blog Awards has just opened up and well, my momma always taught me if you don’t ask, you don’t get and I would absolutely love to be considered for Preschool or Family Fun categories. I love that they finally have a category for the toddler years. A few have been saying they don’t want to ask for votes or don’t like all the begging. I say it’s a friendly competition and we all want to be considered for something but we all are so happy when our favorite bloggers are listed too. So I say if you want voted shout it out, tweet it, write a blog post about it. We should all support and celebrate each other’s hard work and I wish everyone the very best of luck too. Oh my goodness I have never gone back and seen any of the older seasons what a great idea. Will have to do that. Mine too, so I watch it solo when he is out. Thanks for the tip re: voucherbin I will check it out. I too love a bargain. Oh yes it’s brilliant if you can get the same stores and items you want for a bargain. Good luck. Thank you so very much for the vote that’s amazing. Appreciate the support so very much! I know me neither thought for awhile they just weren’t doing them. I think the two should be spread out more though so it’s not confusing for those that aren’t bloggers. I love Lucy she always adds spice thought they got rid of her at first. Have a lovely weekend too. Where’s that t.shirt from? I love it! New Look darling. Thank you. Love your hair curly, but you’re lucky because straight really suits you too. Good luck with the MADs (although I also want votes too in the same categories – going to be really hard to choose who to vote for!). What pop up plugin for your subscription do you use? I’m struggling to find one I like. Thanks hunny although I think so many are going for the same categories as so many fall under the preschool and family fun this year. Have a lovely weekend too. Thank you Emma. I think we should all support each other. It is a friendly competition and we all love seeing our fave bloggers listed too as much as ourselves. I think everyone should shout it out if they want to participate and join the fun. You are always too kind to me. Lol yes do try the granola bars out there are fab. Have a lovely weekend babes. your hair looks fab curly or straight! I adore her little bunches, too cute. Thanks Sian. You too on your holiday. Safe travels. I think you are one of those lucky people who suit both. It’s really nice to see it straight for a change. I’m jealous of everyone who went to blog on. Looked amazing! Love your hair curly or straight, like others have said you suit both – you lucky thing! As you know I’m super happy Lucy’s back too, looking forward to seeing what’s in store for them all this season. Oh me too. Thanks babes. Look forward to tomorrow and hope the weather holds out for firepit fun. You’re so gorgeous, you can carry off any hair style I’d say! The MADS are the first awards I’m trying for, and like you, I work on the don’t ask, don’t get principle! Good for you. I wish you all the best luck in the world. It’s a friendly competition and I think everyone should take join in but be friendly and support each other. Oh dear thank you gorgeous not but you are too sweet to me. Have a lovely weekend. Ahh thanks. I bet you look lovely with both too. Took me years to figure out how to curl it so I didn’t look like a crazy as I have big thick hair. Thanks for the Mother’s Day wishes. Thank you so much Alice. It will be awesome to call our own mother tomorrow together on FaceTime for Mother’s Day. Yes do try the bars out and let me know what you think. Thanks Tanita. Oh I watch it when hubster isn’t around he would die. Hahaha the granola bars were amazing. I was so impressed how cutting the sugar and butter out still tastes good. Thanks Donna. Actually I have thick frizzy hair so straight takes me same length of time as curly. Not blessed there both take forever. Hahaha I am looking forward to Mothers Day tomorrow and my brother being here today. We have lots of adventures planned. Have a lovely weekend. Oh yes do they are awesome. And thank you SO MUCH you are so supportive of me and my blog. Can’t thank you enough. Big hugs. 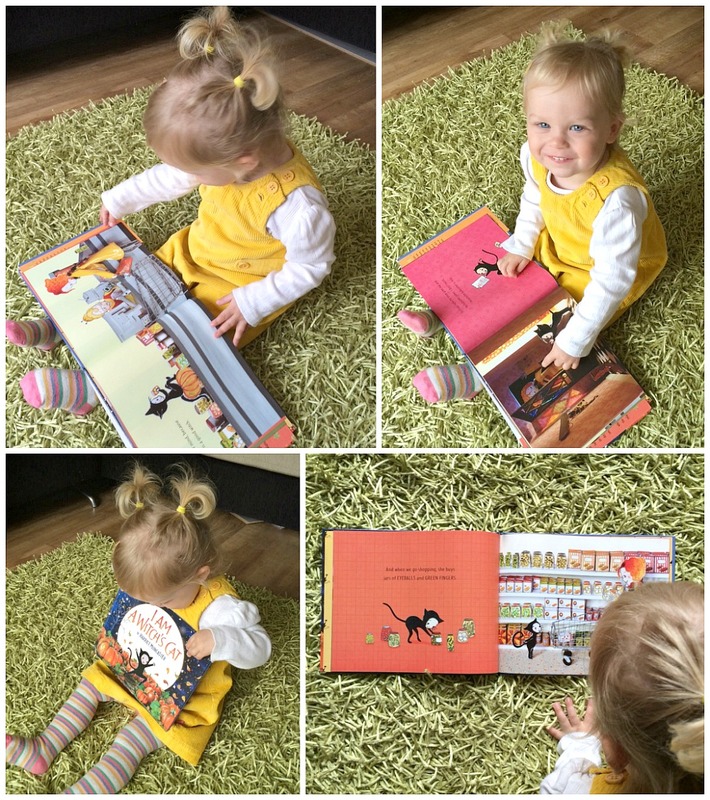 Oh I love the look of that book, it’s always really great when children’s books have a bit of extra depth isn’t it – especially if the story is so great that you’re going to be reading it again and again. And good luck in the MADS – I voted for you in both rounds of the BiBs and I so hope you win! Oh thank you ever so much Carie that is so amazing of you. Yes I agree on children’s books it’s great to have something a bit different and intriguing. Thanks Hun. Oh thank you Kerry that means the world to me. Food is my one true passion and I want just cry if I made the food category. What a dream that would be. I have worn straight for so long that I went the opposite extreme to curly daily for two years. It’s nice to flip back and forth now. Hope you have a lovely time with your brother! you so suit your hair straight, really lovely. Thank you Vicki. It’s nice to have a change back and forth between the two. I am not good either but I love giving things a go and never fall a recipe to it’s specifics always throwing extra this or substituting that in recipes. lol Yes voucher website is great for home decor items. I love it. I celebrate the same way with both no cooking or cleaning. Thanks so much. I love to have it curly more as I get older but nice for the change back sometimes. Thank you Katie. I always go back and forth to which I like best. They both take the same amount of time to do. Lol life’s decisions. Always love to hear about a new book!! Will definitely be checking out the voucher site -thank you! That’s great. It’s nice to buy the things you like but at a cheaper price. Yes thank you as I have my brother here from the states. Always great to get a good bargain. 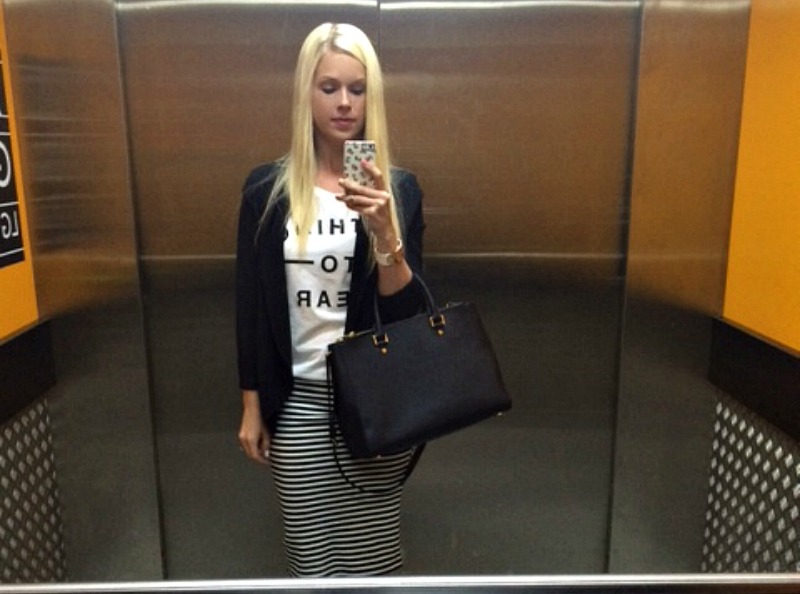 I love both the straight hair and curly hair – looks amazing in both styles. I really love the stripy skirt too. Oh don’t start or you won’t stop. It’s like a guilty pleasure. You know it’s not good but then you think it’s funny to see what’s going on. I never can decided on the straight or curly depends on what I am doing. Lol thank you. You look gorgeous with your hair straight like that. I don’t have a hairdryer or straighteners at the moment so I’ve been leaving mine to dry naturally which of course means MASSIVE FRIZZ. Haha. I must do something about it really, but there always seems to be other things to prioritise! That book looks fantastic. Elsa would love it, she’s a huge bookworm too. I’ll have to keep my eyes peeled for it. Thanks hunny. Oh gosh if I let it dry naturally it would be bigger than the USA! Lol yes do look out for it it’s a great book.